As the partial government shutdown approaches its tenth day, President Trump fired off a few Monday morning tweets from the Oval Office, calling out Democrats for their changing stance on border security over the last decade. "I’m in the Oval Office. Democrats, come back from vacation now and give us the votes necessary for Border Security, including the Wall," Trump tweeted, adding "You voted yes in 2006 and 2013. One more yes, but with me in office, I’ll get it built, and Fast!" 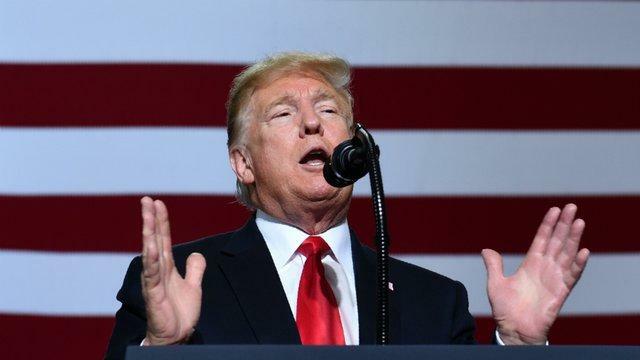 Trump continued: "It’s incredible how Democrats can all use their ridiculous sound bite and say that a Wall doesn’t work. It does, and properly built, almost 100%! They say it’s old technology - but so is the wheel. They now say it is immoral- but it is far more immoral for people to be dying!" Earlier Monday President Trump responded to a LA Times interview of outgoing Chief of Staff, John Kelly, in which he says that plans for a concrete wall are out the window. "To be honest, it’s not a wall," said Kelly - who embarked in early 2017 on seeking advice from those who "actually secure the border," on what to do. Speaking with Customs and Border Protection agents - referred to by Kelly as "salt-of-the-earth, Joe-Six-Pack folks," the outgoing Chief of Staff recounts "They said, ‘Well we need a physical barrier in certain places, we need technology across the board, and we need more people'." "The president still says ‘wall’ — oftentimes frankly he’ll say ‘barrier’ or ‘fencing,’ now he’s tended toward steel slats. But we left a solid concrete wall early on in the administration, when we asked people what they needed and where they needed it." Trump fired back, tweeting "An all concrete Wall was NEVER ABANDONED, as has been reported by the media. Some areas will be all concrete but the experts at Border Patrol prefer a Wall that is see through (thereby making it possible to see what is happening on both sides). Makes sense to me!" Is it possible that alleged election meddler Vladimir V. Putin has convinced Chuck Schumer to fight against US border security?